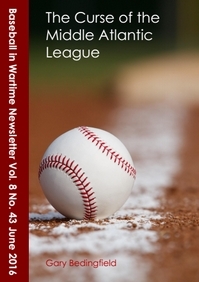 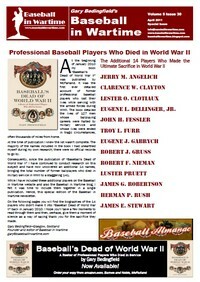 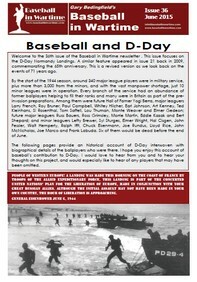 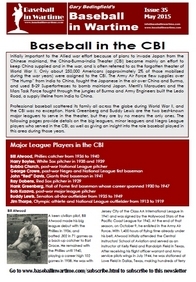 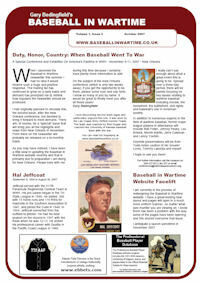 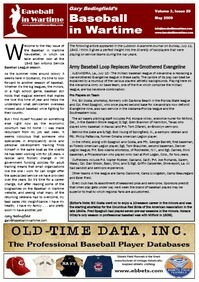 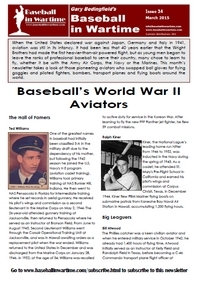 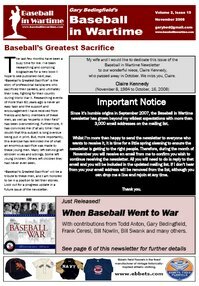 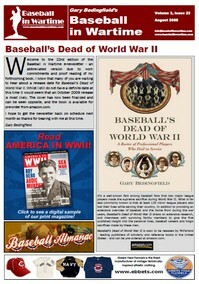 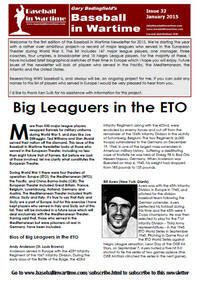 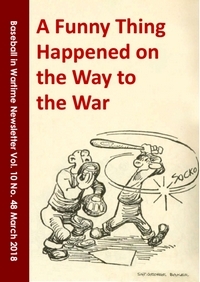 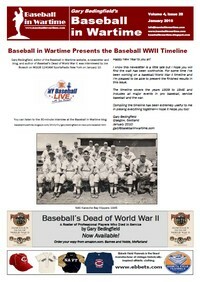 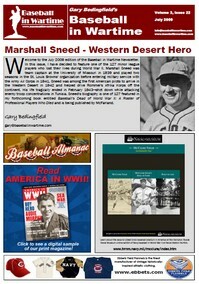 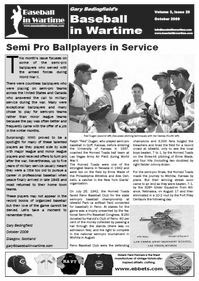 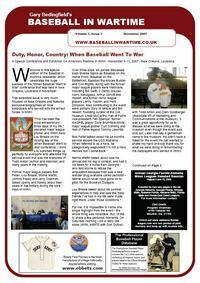 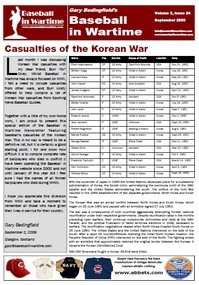 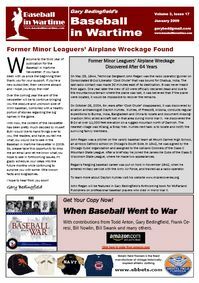 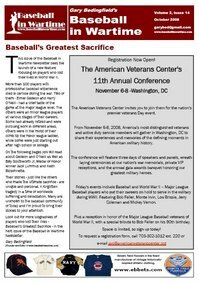 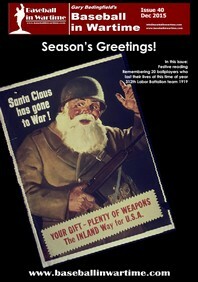 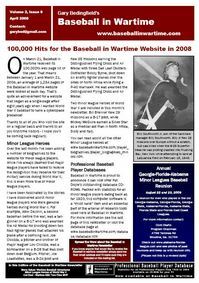 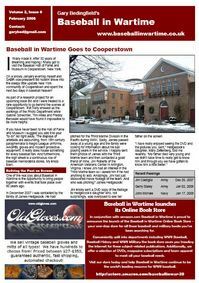 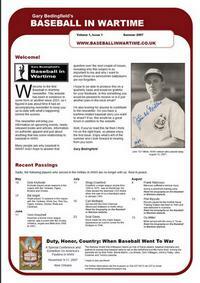 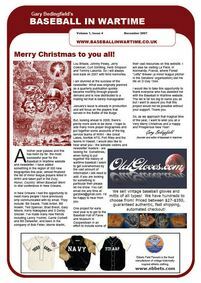 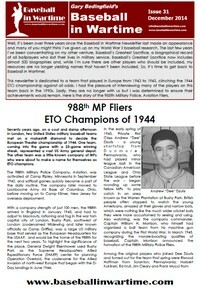 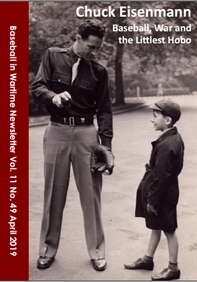 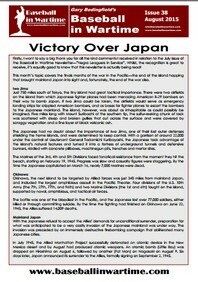 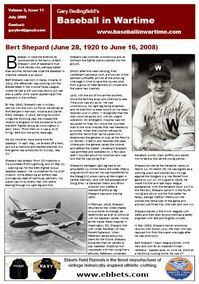 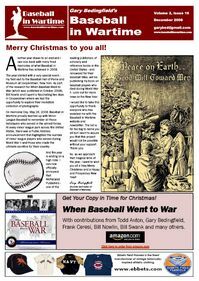 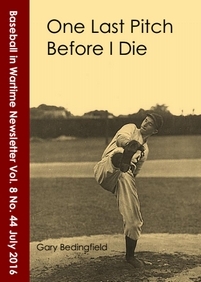 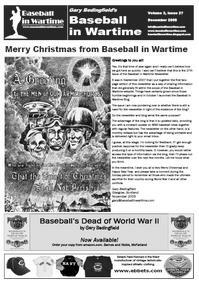 The Baseball in Wartime Newsletter was launched in September 2007. 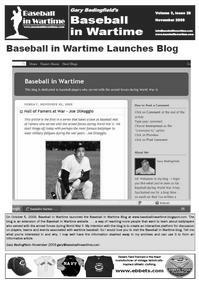 Its purpose is to keep subscribers up-to-date with news relating to wartime baseball. 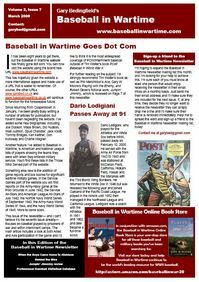 It includes book reviews, news on up-coming conventions etc, deaths of former servicemen ballplayers and brand new feature articles. 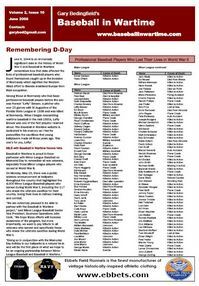 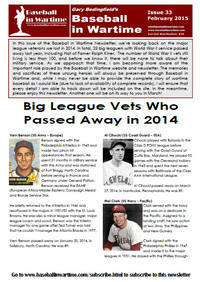 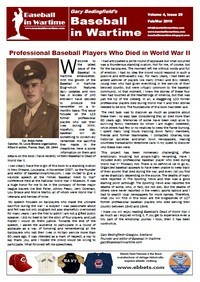 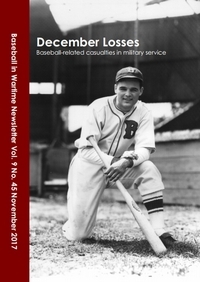 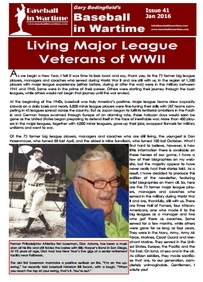 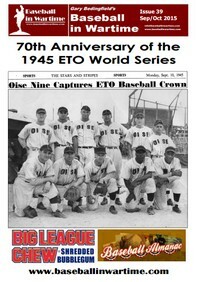 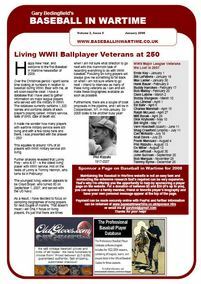 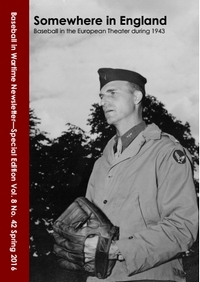 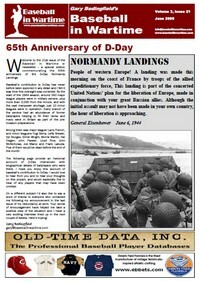 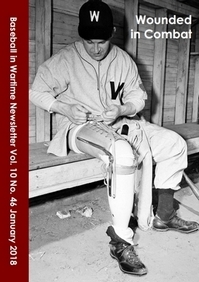 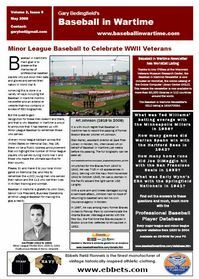 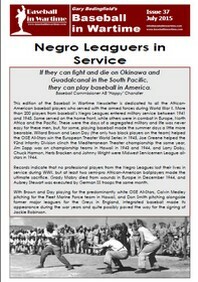 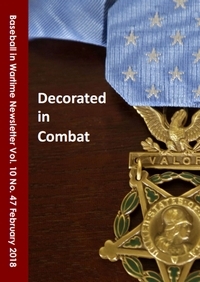 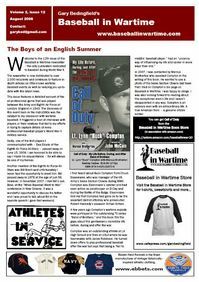 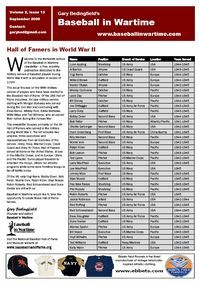 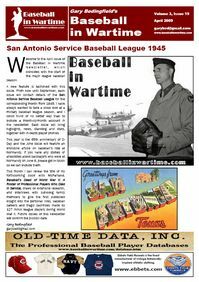 In This Issue: Minor League Baseball to Celebrate WWII Veterans, Playing Ball in the Marians, Niles "Sonny" Jordan.